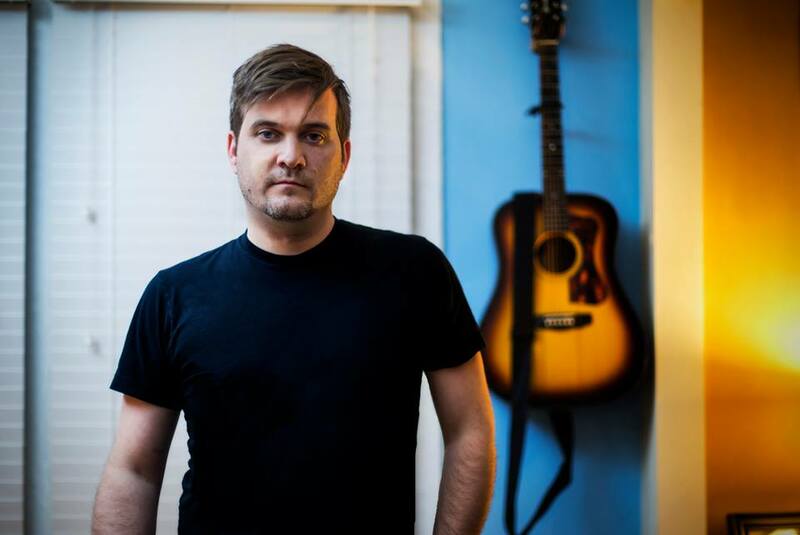 Ben Trickey writes and sings songs with some friends of his. "As he sings his slow, simple songs, you are taken back to a dustbowl-era mentality. A time when the folk singers were few and far between; a time when the folk singers weren’t just good, they were damn near perfect." 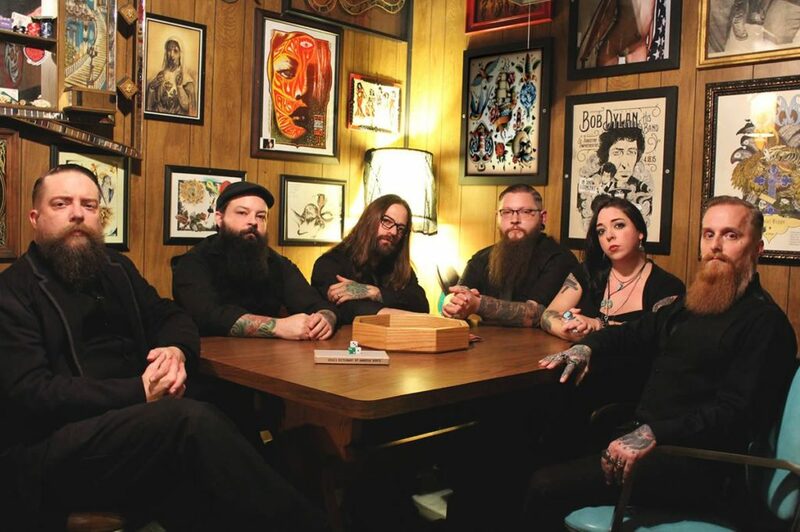 For a group that started making inroads into the Atlanta music scene just a few short years ago, “Build Momma a Coffin” marks the beginning of a transitional era for Blood on the Harp. Led by songwriter Miguel Olascuaga, the band has grown from its original incarnation as a trio, morphing into dynamic collective featuring the talents of Keena Graham, Russell Blair, Chris Johnson, Christopher Salmon, and Troy King. This change has allowed the group to adopt a richer and more adventurous songwriting palette, resulting in well-layered songs that require some patience to unravel. 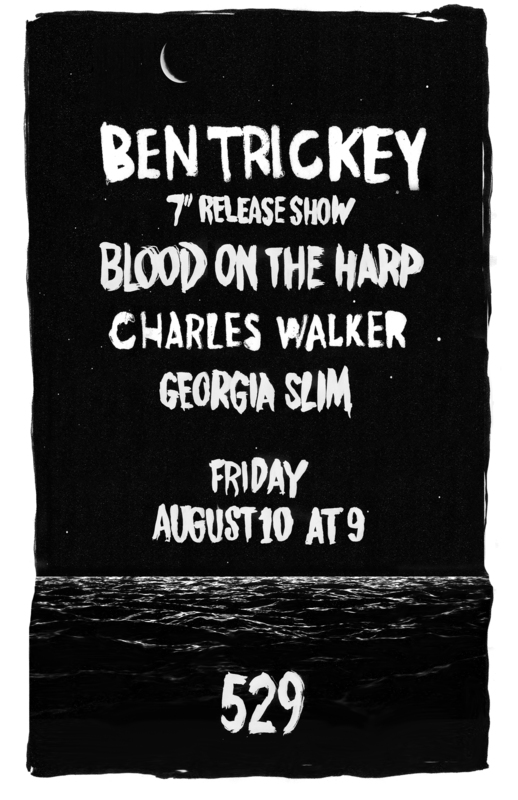 The new single is the first track Blood on the Harp has shared since expanding into a sextet and it provides a striking example of the dark country and Southern Gothic sound the group is quickly becoming known for. Opening with an eerie atmospheric swell of strings, the mood feels initially bleak before settling into the aura of deep resignation that guides the bulk of the song. Along the way a forlorn acoustic guitar and banjo are set adrift by a shuffling backbeat, while a melancholic accordion sweeps in as if to offer its condolences. Music this rustic and stylized often seems tethered to a distant time and place, but the song’s tale of anticipated loss, coupled with some stirring vocal harmonization, gives it a grim immediacy that’s hard to shake.